Staying healthy in the New Year is an important resolution, but many adults tend to bypass preventive exams and screenings that would keep them stronger longer. Just as infants and children need to follow an immunization timetable, adults should also regularly schedule certain medical tests. The beginning of a new year is the perfect time to start. Knowing which tests to get and when to get them can be a challenge, given that screening guidelines are changing frequently, as concerns grow that overusing such tests might lead to unnecessary procedures. Health screening tests are an important part of medical care. Screening can take the form of simple questionnaires, lab tests, radiology exams (e.g. ultrasound, X-ray) or procedures (e.g. stress test). But just because a test is offered for screening purposes, doesn’t mean that it is a good screening test. Technical accuracy is necessary but not sufficient for a screening test. A combination of the right test, disease, patient and treatment plan makes up a health screening program. If you don’t check your blood pressure, then you don’t know if it’s high or at goal. Checking your blood pressure about two to three times per week can help you notice any changes. Diabetes tests should be taken if you have high blood pressure or high cholesterol, as well as every three years after age 45. A panel created by the American Diabetes Association recommends that every diabetic over age 50 be tested for peripheral arterial disease (PAD) which narrows leg arteries and reduces blood flow. People with diabetes should have their feet examined during regular doctor visits four times a year. Cholesterol checks should be taken every five years beginning at 20 years of age. Smokers, people with diabetes and those with a family history of heart disease should especially check their cholesterol on a regular basis. Schedule a tetanus-diphtheria vaccine every 10 years, a flu-vaccine every season beginning at six months of age, and a pneumonia vaccine at age 65 (or possibly younger if you have a suppressed immune system or certain long-term health issues). Colorectal cancer screenings should begin at age 50. The U.S. Preventive Services Task Force recommends that adults age 50 to 75 be screened for colorectal cancer. The decision to be screened after age 75 should be made on an individual basis. If you are older than 75, ask your doctor if you should be screened. People at an increased risk of developing colorectal cancer should talk to their doctors about when to begin screening, which test is right for them, and how often to get tested. Women should begin biennial mammogram screenings at the age of 50, and younger women should ask their health care provider if a mammogram is right for them, based on age, family history, overall health and personal concerns. 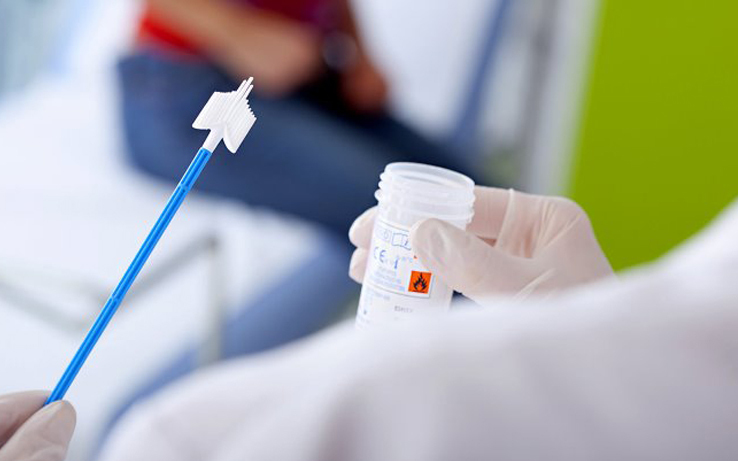 Women should have a Pap test every three years if they are sexually active or older than 21. Women should have a bone density test for osteoporosis at age 65. Most people have no bone loss or have mild bone loss. Their risk of breaking a bone is low so they do not need the test. They should exercise regularly and get plenty of calcium and vitamin D. This is the best way to prevent bone loss. Men should discuss having a prostate test and exam with their doctors by age 50 and by age 45 for those at high risk for prostate cancer such as African Americans and those with a family history. While high PSA levels can be a sign of prostate cancer, a number of conditions other than prostate cancer can cause PSA levels to rise. 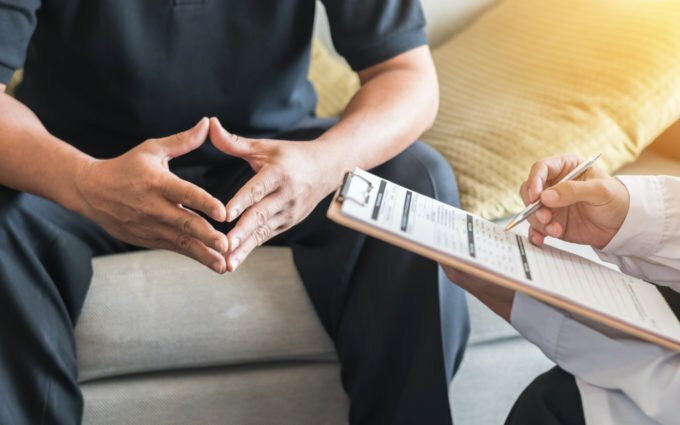 These other conditions could cause what’s known as a “false-positive” – meaning a result that falsely indicates you might have prostate cancer when you don’t. The PSA test isn’t the only screening tool for prostate cancer. Digital rectal examination (DRE) is another important way to evaluate the prostate and look for signs of cancer. Men and women should have their physician check for skin abnormalities when already receiving a physical examination. People of all colors, including those with brown and black skin, get skin cancer. When skin cancer develops in people of color, it’s often in a late stage when diagnosed. The good news is you can find skin cancer early. Found early, most skin cancers, including melanoma, can be cured. If you wear glasses, have a family history of vision problems or have a disease that puts you at risk for eye disease, such as diabetes, have your eyes checked frequently. A healthy adult with no vision problem should have an eye exam every five to 10 years between 20 and 30 years of age, and every two to four years between 40 and 65 years of age. This year, resolve to take better care of yourself than before. Be sure to get the screenings you need to prevent and catch potential health problems before they become major concerns. If you are aiming for a more healthful 2019, the most important things to know are your numbers – including your weight, blood pressure, blood sugar, body mass index and cholesterol.